I was wondering if anyone has ideas on how to improve the low beam headlight on the HS. I don't feel confident on the freeway at night with the low beam light output. High beam is better but don't want to blind oncoming traffic. Thanks for your suggestions. 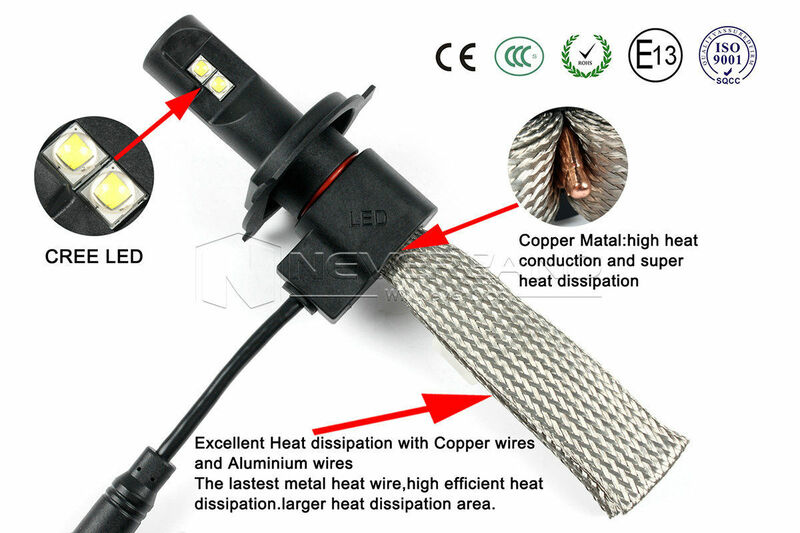 My thoughts on this are that 2 auxiliary lights are better than a super bright led replacement. Having a triangle of lights adds to your visibility, day or night, and gives drivers a sense of depth perception so they can better gauge your distance. The aux lights can be aimed, and because they're lower, the light won't bounce back to you in fog and rain. Some people put a wide angle on the right and a spot on the left. This helps downroad illumination, and the wide angle gives you a better view to the road side for deer etc. ADV Monster, and cyclops make reasonably priced kits, and if you join advrider you can get a 10% discount. Kuksul08 - an inmate here, also makes a beautifully integrated aux light set. Gotta be the worst headlight ever. I've just fitted one of these. £30 on eBay. You can fit the whole thing inside the light unit and get the cover closed but remember to spread the cooling tapes as best you can. The light output is huge in comparison and it's lower power so no fuse chances. 40W 6000LM H4 HB2 9003 CREE LED. Thanks, Bigfoot! Got one on order. This is what I have. A little improvement from the OEM. It is just the design of the Hypermotard Light itself. Still in the package...got other projects going right now, and I rarely ride at night. Delivery was quick, though! I'll get it done when I get my new LED turn signals.